"Sri Lanka are in such disarray that we would prefer England to bat first and use a wearing pitch to their advantage. That is turn up for the books"
Sri Lanka are in a state of chaos regardless of the result of the first Test in Galle, win, lose or draw. They are suffering a severe player drain which surely hinders their chances of getting back into this series. The retirement of Rangana Herath one game into a three-match series was bad enough. The subsequent injury to Dinesh Chandimal, their captain, and reporting of Akila Dananjaya for a suspect bowling action are significant blows. Chandimal suffered a groin injury in the 211-run loss and will miss the series. Suranga Lakmal has been named as the new skipper with all-rounder Charith Alasanka called up. Alasanka has never played a Test before. It would be a surprise if Danajaya (he is eligible) plays because of the hit to confidence. If he does it shows how desperate the hosts are. The one bright spot post-Galle was the form of Dilruwan Perera, who takes over as No 1 spinner from Herath. Perera claimed seven wickets in the match. A word too for Angelo Mathews who hit twin half-centuries. England are apparently in a quandary about whether to pick Ben Foakes or not. Given that he won the man of the match award thanks to a first-innings rescue act of Superman proportions (a century from 164 for six) and showed the sort of technique and class rarely seen by an Englishman in Asia, we don't see the debate. Jonny Bairstow was unfortunate to lose his spot to injury but he has to remain sidelined so the XI which claimed a first win away from home in 14 attempts gets another shot. There could be tinkering with the batting order, however. Jos Buttler is being lined up as the new No 3. This is due to Moeen Ali looking ill at ease there in game one and Joe Denly, brought on tour for that very role, struggling in the warm-ups. It might not matter. Keaton Jennings's century showed his flat-footed approach works in Asia and with Adil Rashid at No 9, runs don't look that big aa problem. Jack Leach coped admirably with the pressure of having to bowl out a side in spin-friendly conditions. All in all England are in better shape than their hosts. There have been only six Tests at the Pallekele International Stadium, resulting in three results and three draws. Two were won by the side batting first. The last two results show the importance of the flip. In 2016 Sri Lanka batted first against Australia and were razed for 117. They still won, bowling out the Aussies for 161 after setting 268. The year after India amassed 487 and won by an innings. Spin did the damage. In the aftermath of Galle we made it pretty clear that England did not win because they had prepared better or showed greater skill or patience. They won because they won the toss. The pitches in Sri Lanka are a great leveller. Lose the toss and you're in a world of trouble. It is surely a 50/50 call, then, in Pallekele. That might cheer England. Hell, they've now got an even money chance of back-to-back wins away from home, something they've not achieved since the 2010-11 Ashes. We are not wholly blind to the state of the two teams, however. Sri Lanka are in such disarray that we would prefer England to bat first and use a wearing pitch to their advantage. That is turn up for the books. Sri Lanka are [3.35], England are [2.36] and the draw is [3.55]. The forecast is for rain on all five days but this was also the prediction for Galle. Mathews may have been ditched prematurely from the ODI set up but his standing in the five-day format is unaffected. His two valiant efforts in Galle were a reminder that he has the technique and mettle to hold up a team on the charge. He is 7/2 favourite with Betfair Sportsbook for top Sri Lanka runscorer in the first-innings and that's difficult to argue with. It would be remiss not to point out Kusal Mendis here, though. He smashed 176 against Australia in that extraordinary comeback win. He is 4/1. 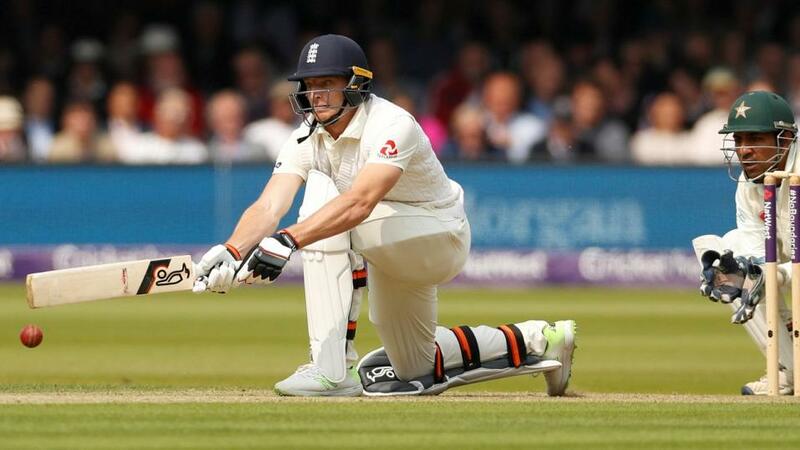 Joe Root is the 3/1 favourite with Betfair Sportsbook for top England runscorer but his recent form (going back to the summer) just isn't good enough to warrant support at the odds. Jennings is 9/2 followed by Rory Burns at the same price. Buttler is 5/1 and Foakes is 7s.